A 'short, independently led' inquiry into allegations of bullying of parliamentary staff has been recommended by Commons leader Andrea Leadsom – following claims about Shropshire MP Mark Pritchard. 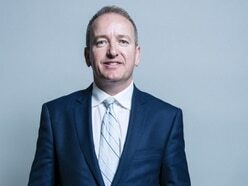 Mr Pritchard, Conservative MP for the Wrekin, is one of three MPs accused of using threatening and intimidating behaviour towards parliamentary clerks, in the investigation by the BBC Newsnight programme. Paul Farrelly, the Labour MP for Newcastle-under-Lyme, and Speaker John Bercow were also named in the investigation into politicians' behaviour at Westminster. Mrs Leadsom told the Commons: "I will propose that the inquiry should hear from past and current staff members about their experiences and help to provide them with closure wherever possible." She told MPs that allegations of bullying were a "huge concern" to her. Mrs Leadsom, replying to an urgent question, also said: "I'm committed to stamping out all kinds of bullying and harassment in Parliament, in order to create an environment in which everyone feels safe and is treated with the respect and dignity they deserve." Mrs Leadsom said the House's "Respect Policy" was thought to be working well, but added: "Following the Newsnight allegations, it is clear that the Respect Policy may not be sufficient to protect House staff." She also said of the newly-announced inquiry: "I will also propose it should take soundings from current and former House staff on whether the Respect Policy is fit for purpose, and whether House staff would be better-served by having access to the new independent complaints and grievance police from day one. "Mr Speaker, I am more determined than ever that we banish all kinds of harassment and bullying from this place because make no mistake, there is a need for change." Previously, Mr Pritchard said: "I refute this story completely. "I have never sworn at any clerk in all of my thirteen years in Parliament and the House has never received any such complaint. "This story is based upon anonymous and second hand hearsay from ten years ago. It is hurtful and completely false."